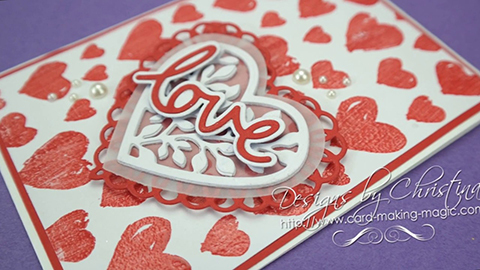 The spotlight stamping technique can be very intimidating, so Janette shares how to ease into it with some very basic “spotlighting”. If you’ve never heard of spotlight stamping, it’s an easy technique that accentuates, highlights, or puts a “spotlight” on a stamp or part of a stamp. There are many variations and ways to achieve this effect. Usually an image is stamped once onto a card front and then a second identical layer is added, but only a certain section of the stamp is accentuated. This can be done with vibrant colouring, matting and layering, etc. In this masculine birthday card, Janette creates a stamped pattern background using the Apple Blossom Bubbles & Fizz gift included in Papercraft Essentials issue 161. She then “spotlights” some of the images with alcohol markers, and a bit of matting and layering. It’s very easy and will serve as a gateway for more advanced spotlight stamping! Watch the video tutorial below for all the steps! -12 inspiring ideas using your FREE GIFTS!